My trip to the Library of Congress building later led me online to explore their equally amazing catalog of images. 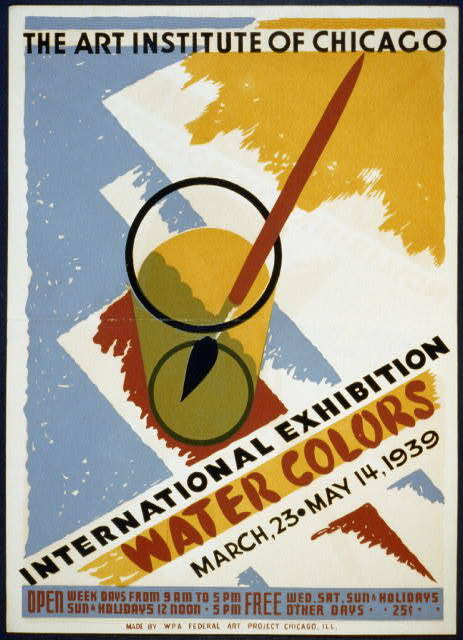 They have thousands of high-resolution images, from baseball cards to Japanese prints to Spanish civil war posters. And that’s just the prints and photographs section. 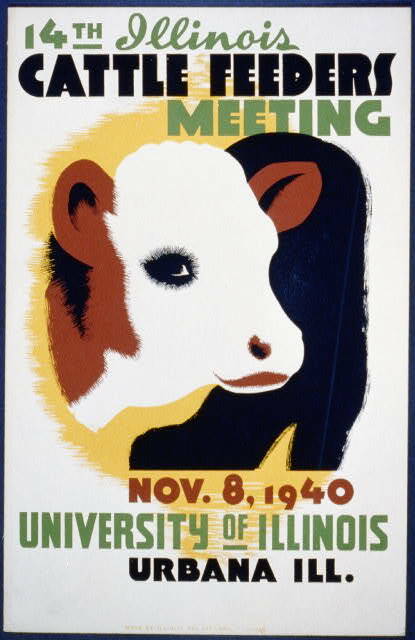 I preferred the collection of WPA posters. They combine beautiful design with period topics that can seem wacky today. Ride the El! Get tested for syphilis! Beat the Germans! Children’s piano competition! Over 900 governmental exhortations paint a vivid picture of 1930s life. I was amazed by the number of posters for illness: tuberculosis, syphilis (31 posters alone! ), diphtheria, scarlet fever. 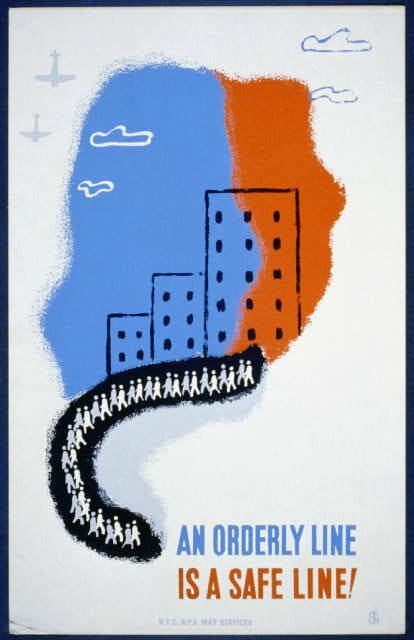 The posters are also great sources of design inspiration. Most have playful typography and engaging graphics. Many of them are available as high-resolution TIFFs, so you can print them out and have instant decor. My bathroom now has posters about syphilis and pneumonia. I’m sure my guests will feel safer. 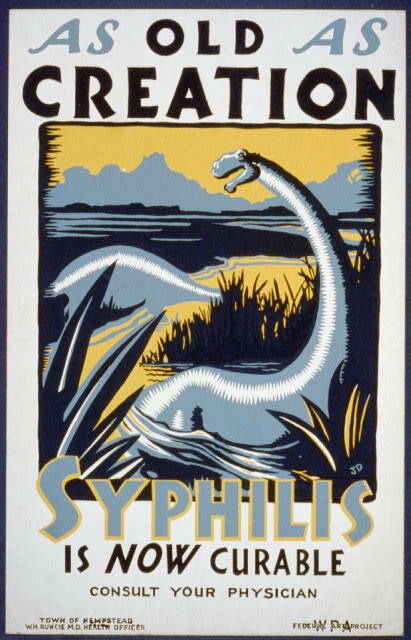 As old as creation, Syphilis is now curable. 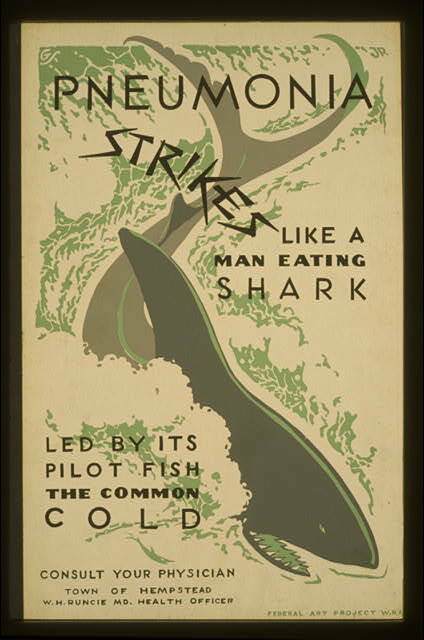 pneumonia strikes like a man eating shark led by its pilot fish the common cold. An orderly line is a safe line! 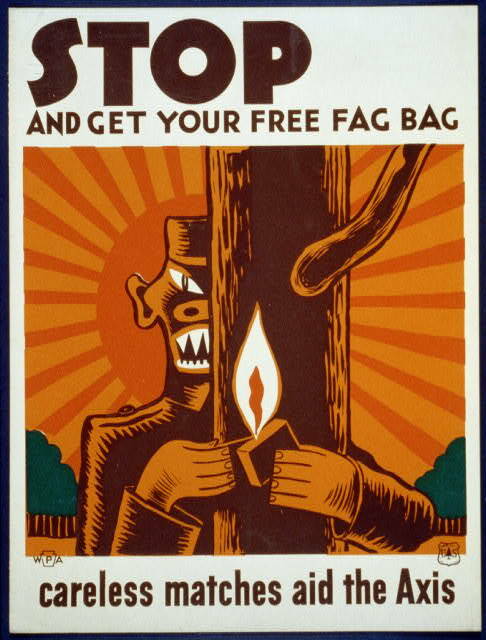 Stop and get your free fag bag– careless matches aid the Axis. 14th Illinois Cattle feeders meeting. This entry was posted in Illustration, Methods and tagged 1930s, art, depression, design, disease, history, library of congress, loc, posters, syphilis, works progress administration, WPA, WPA posters on October 20, 2014 by Vironevaeh.